On Friday, April 17th, 2009 the fifth Summit of the Americas is set to open in Port-of-Spain, the Republic of Trinidad and Tobago. 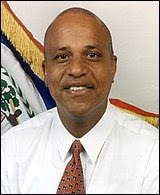 As chairman of CARICOM, Prime Minister Dean Oliver Barrow of Belize will be heading to Port-of-Spain, Trinidad tomorrow, April 15, 2009 to prepare in advance. The heads of state and government of the nations of the Americas will come together to discuss and take action on political, economic and social issues that are of concern to all countries in the region. President Barack Obama of the United States will be attending this Summit of the Americas also, and we hope that leaders of the region will discuss the deportation of citizens of the region from the United States without proper coordination with their respective governments. Other members of the Belize delegation to the Summit of the Americas are Hon. Wilfred Elrington, Attorney General and Minister of Foreign Affairs and Foreign Trade; Hon. Erwin Contreras, Minister of Economic Development, Commerce & Industry and Consumer Protection; Ms. Audrey Wallace, Chief Executive Officer in the Office of the Prime Minister and Belize’s Ambassador to the United States, Mr. Nestor Mendez. Prime Minister Barrow will return to Belize on Tuesday, April 21, 2009. During his absence, Hon. Gaspar Vega, Deputy Prime Minister and Minister of Natural Resources and the Environment will serve as Acting Prime Minister.